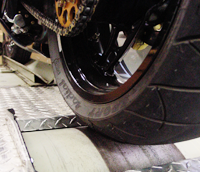 Sabin Performance has been dyno tuning motorcycles for over 17 years. Ability to dis-able soft cut limiters which can burn up your NOS or Turbo bike, hard-cut shuts all injectors down vs just a couple. Disable O2 sensor, pair valve, IAT sensor for dyno tuning purposes. NOW AVAILABLE: ECU controlled progressive gear based Nitrous/Fuel/Ignition Ramp Rate Control.